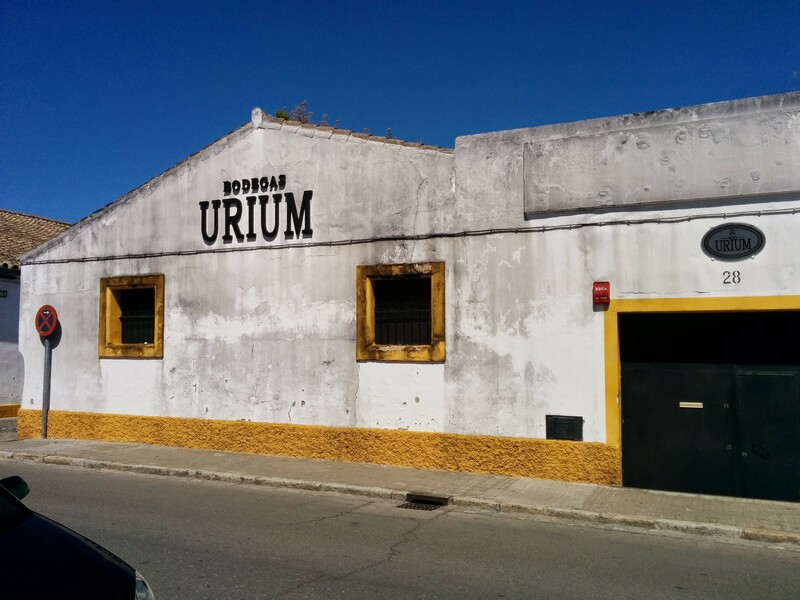 While visiting with Rocio, the director at Bodegas Urium, I told her about my goal to have each bodega sign my copy of Sherry, Manzanilla & Montilla. She said her father and winemaker should do the honor, and insisted I return to meet Alonso Ruíz Olivares. I came back the next afternoon and tapped on the metal door. As it slowly slid open, there stood the smiling face of Santa Claus. He welcomed me in like an old friend. The American in me wanted to jump right in and have him sign my book so I wouldn’t take too much of his time by interrupting his day. Instead, he started the conversation with, “what would you like to drink?” He was in no hurry, and had me taste through the barrels once again. Any visitor will note Alonso is passionate about sherry! 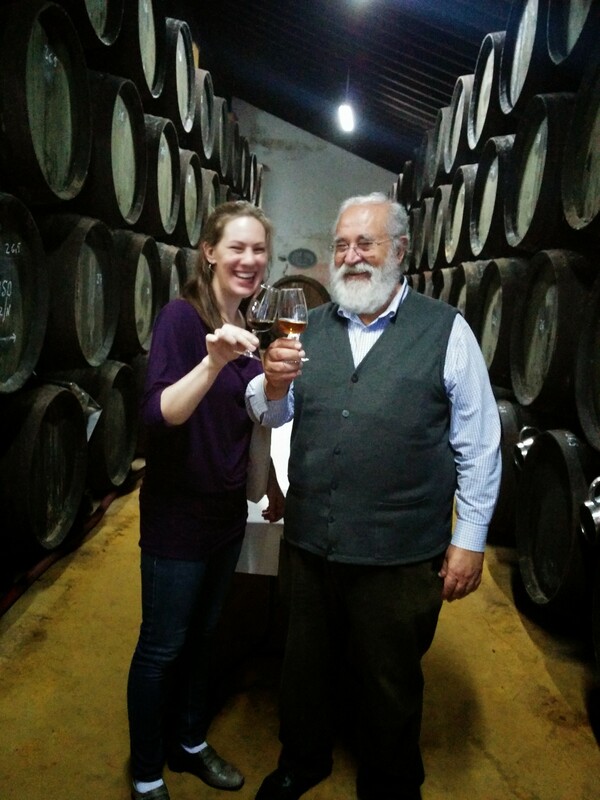 He commutes from Huelva to Jerez to care for his wines. As soon as he knew I was an aficionado, he quickly took the role of mentor and poured out hours of knowledge on me! He gently reminded me to hold my glass at the stem so I wouldn’t warm the wine. He showed me how he checks the veil of flor with a mirror and flashlight. He had me smell through a vertical flight of Palo Cortado, which rabbit-trailed our conversation to his computer. He insisted on showing me his PowerPoint presentation that included the science of how aromas last in the memory much stronger than the flavors. He is so proud of Urium’s growing reputation. He excitedly pointed out how they come out on top of a Google search, and even have many YouTube references. By the time I left the bodega, I not only got an autograph in my book, but I walked away with a new “father” in Jerez. Throughout the rest of my sherry odyssey, Alonso would text me hija, por donde andas to make sure I was safe and sound. Even my last hours before leaving Jerez were spent in the bodega with Alonso, Rocio and her husband Mario. I felt so at home in this place with these new friends. Right before they took me to the train station bound for Madrid, Alonso sang me my favorite letra from Sevillanas – Algo se muere en el alma, cuando un amigo se va. Something in the soul dies when a friend goes away. Rest assure, I will be back.